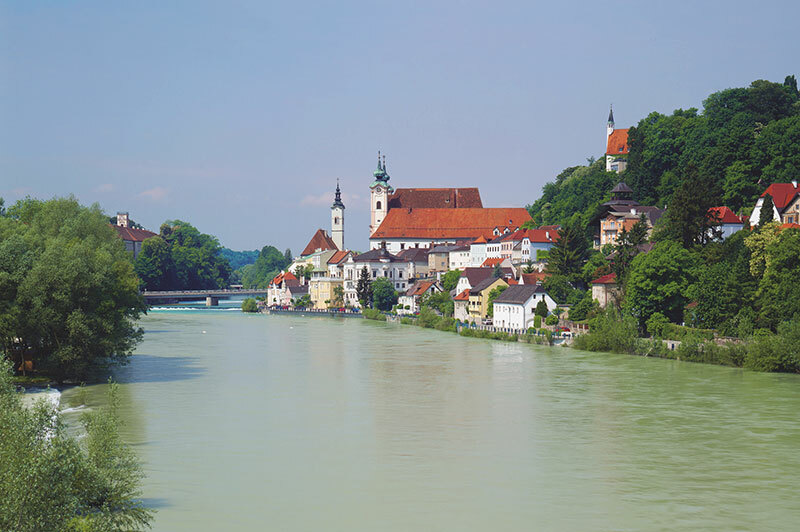 Picturesque, but far from old fashioned, Steyr is a lively market town at the foot of the Alps. 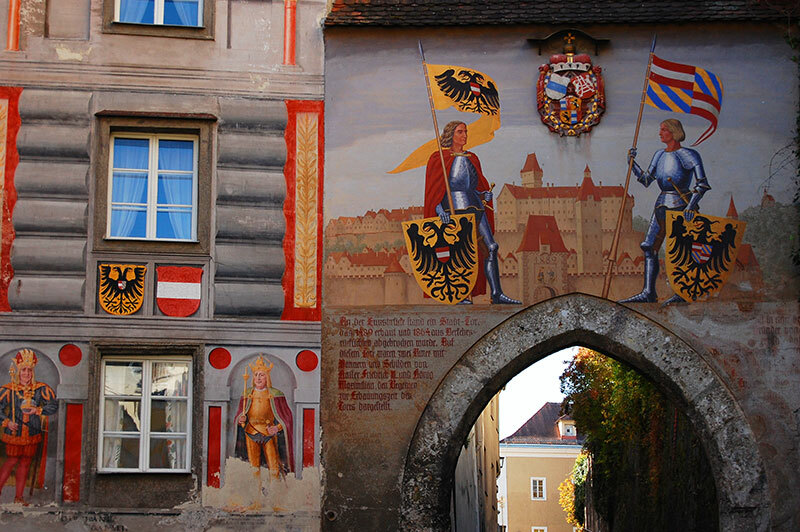 1000-year-old Steyr has one of Austria’s finest town squares, surrounded by Gothic and Baroque architecture. 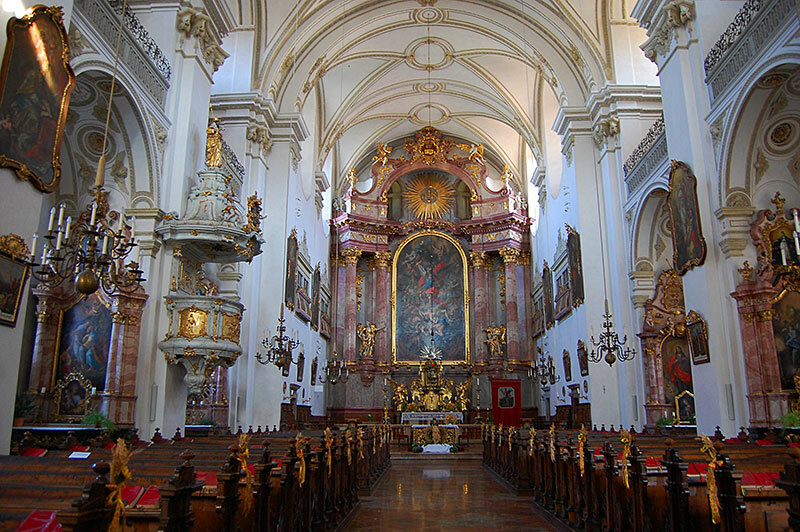 The lovely town at the foot of the Alps has one of Austria’s best preserved historic centres in the country. 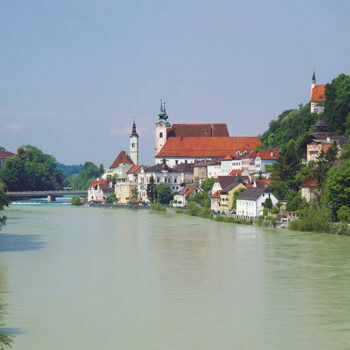 Located where the rivers Steyr and Enns meet, the market town celebrated its 1000th anniversary in 1980. North of the city, the almost flat landscapes of the Danube Valley unfold, while to the south the Alps rise to over 2000 meters. 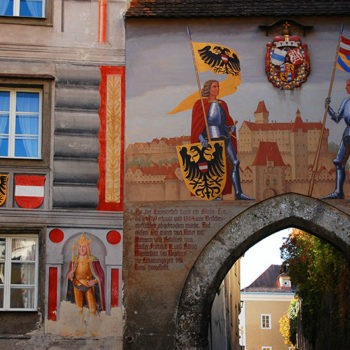 Steyr is a cozy and vibrant town. Even the historic town centre, which is far from just an open-air museum, is pretty lively. 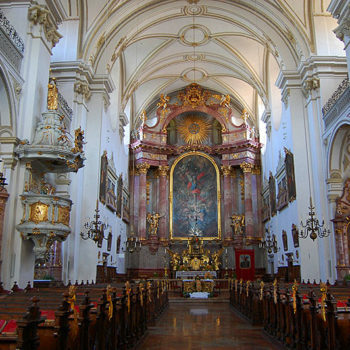 Hence, Steyr is a wonderful place to explore for a day or three. 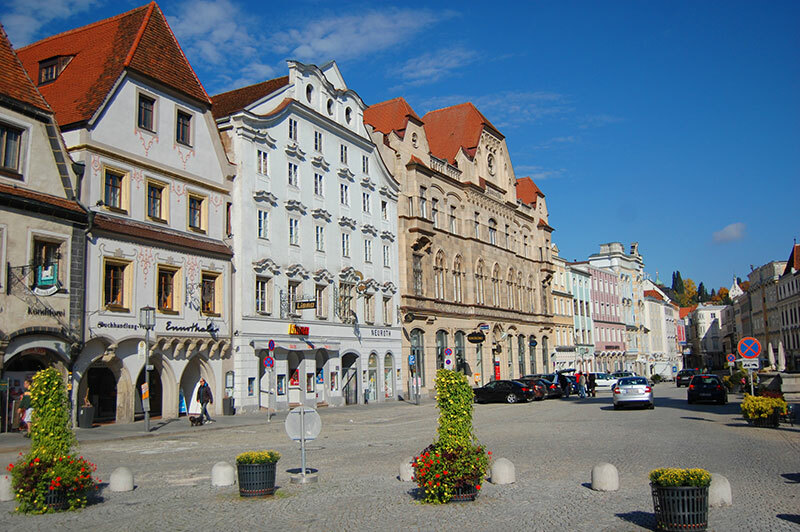 Thursday and Saturday morning are market days, making Steyr extra lively. 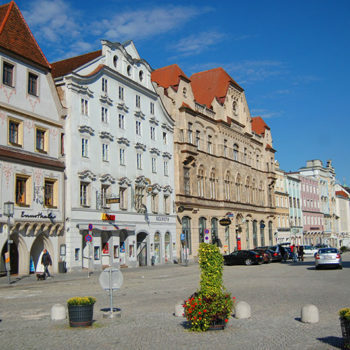 The town is divided into three parts; Altstadt (historic centre), located between the Steyr and Enns rivers. 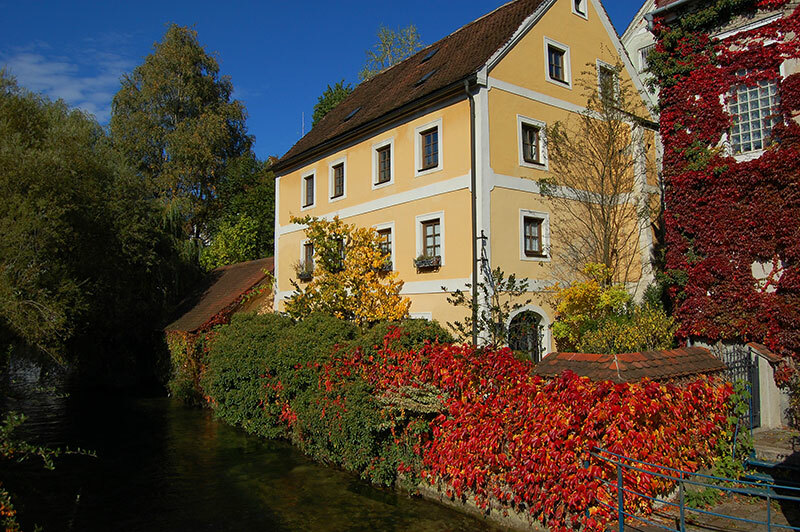 Steyerdorf, is located on the north side of the Steyr and Enns rivers and finally Ennsdorf (where you find the train station), located in the east on the banks of Enns. 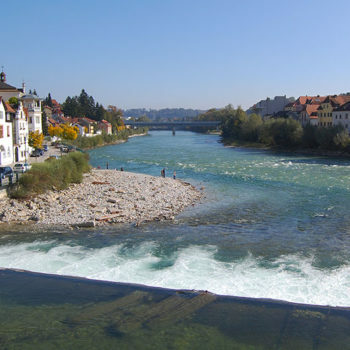 In addition to visiting the Stadtplatz (Central square) you should also take a trip across the river to the north side. Exploring the old industrial district, which today is a mix of homes, schools and shops show you a diferent side of Steyr. 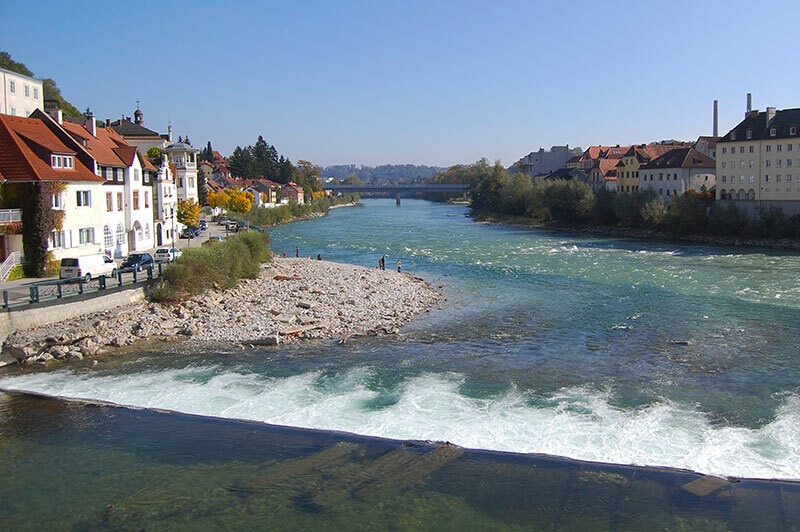 It’s nice to stroll along the river Steyr, which is divided by an island before it meets Enns. 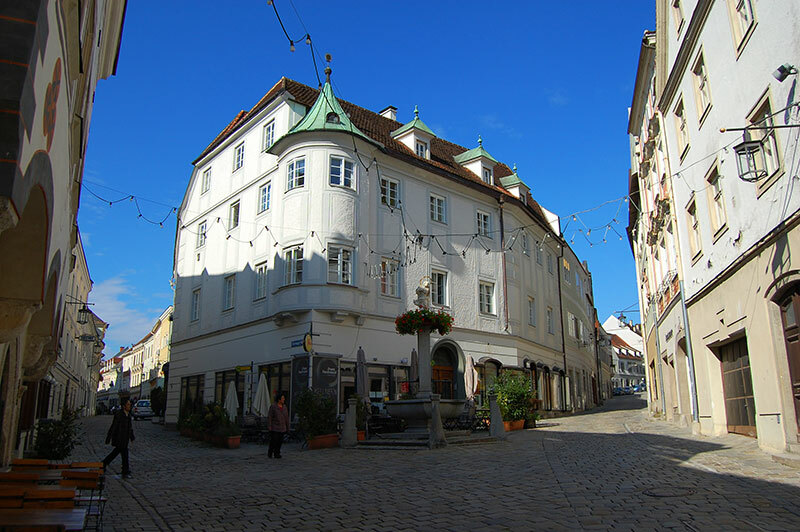 Here’s a suggestion for a lovely stroll that takes you through some of the finest streets in Steyr. 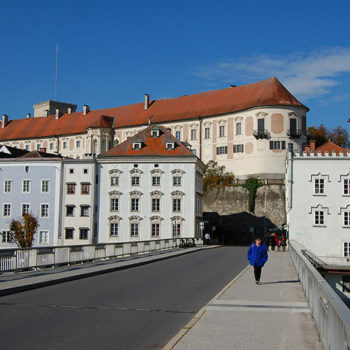 Cross the bridge under Schloss Lamberg to the north side of the river Steyr and continue along Wehrgrabengasse. Then cross a side arm of the River Steyr at Wehrgrabengasse 29. Turn left at Fabrikstrasse and take the stairs (Wasserberg) up to Sierninger Strasse. Follow this street down to Michaelerkirche where you can cross the bridge and take Enge Gasse back to Stadtplatz. 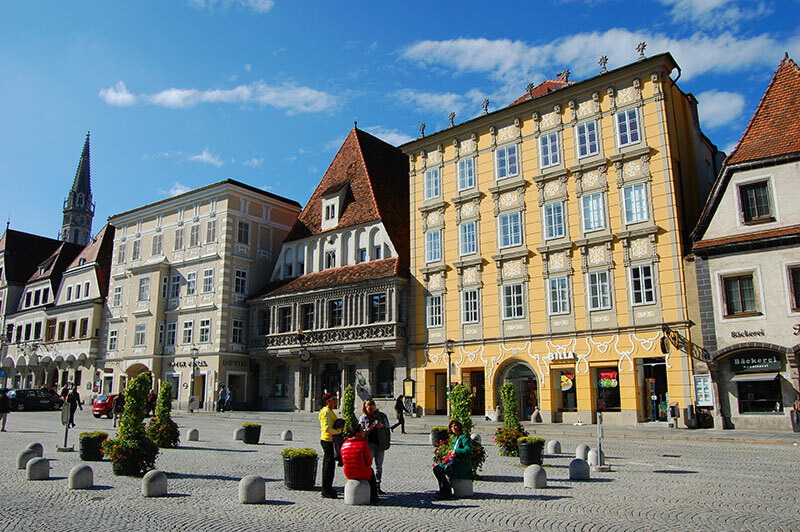 Steyr’s main attraction is the town square, or there Stadtplatz as it is called in German, which is right in the heart of the Altstadt. 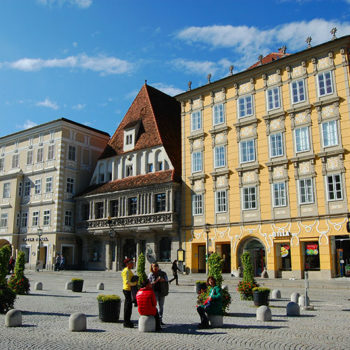 Around the town square is where you will find most of the really old historic buildings. 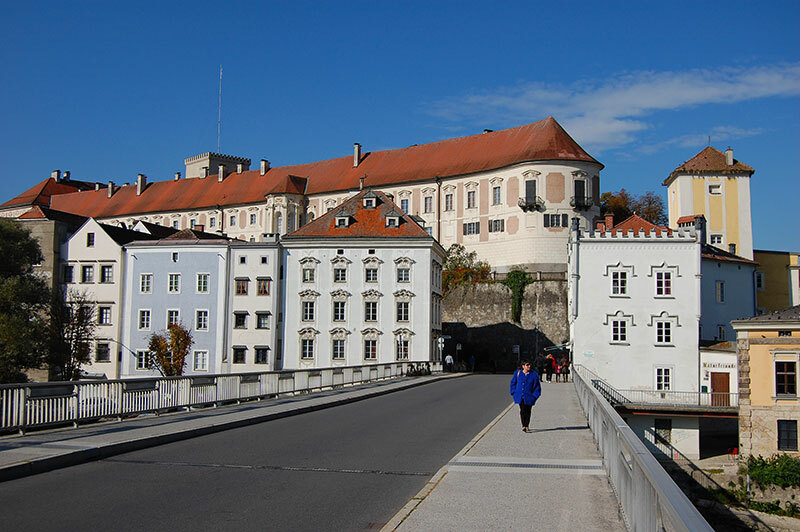 Much of the archetecture that makes Steyr one of the most beautiful historic towns in Austria, was constructed from the 14th to the 16th centuries. Before starting your sightseeing, get a city map and some brochures at the tourist office, so you know what you are looking at. Moreover, when you walk around the old town do not forget to look up. As foten the finest architectural details are often found on the upper floors. 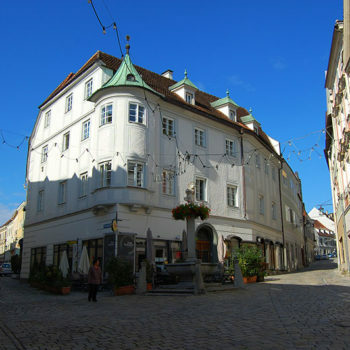 Furthermore, make excursions away from the Stadtplatz itself and into the narrow alleys (Gassen) and stairways (Stiegen). There are six of these stairways, since the difference between the upper and lower part of the old town, can be up to 40 meters. After a nice walk with historic architecture, shopping and perhaps even a Wienerschnitzel, you could head for the park to relax a bit. 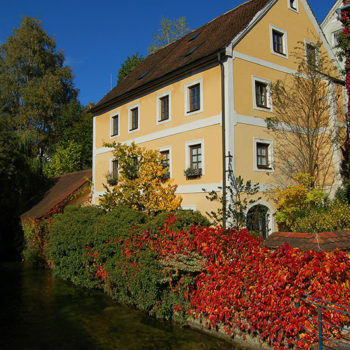 Behind the Castle Lamberg and the town centre lies Schlosspark (Castle park), which was first laid out in 1476. Today’s park dates back to 1844 when it was designed as an “English garden”. You can easily spend a few hours in the shade of the trees on a hot summer day or enjoy romantic walks with your beloved on a sunny autumn day. If you are in the region before Christmas, you should get their Christmas cards stamped at the Christmas Post Office in Steyr. The post office which has zip code A-4411 Christkindl (Jesus Child) opened its doors 65 years ago. During the opening of 1950, the very popular postmark was used for approx. 42,000 Christmas cards that went out to the whole world. Today, more than 2 million letters and cards are sent from the Christmas Post Office at the Hotel & Restaurant Christkindlwirt during the Advent every year.